In this article, we will give you some pointers when it comes to using the Silhouette Cameo 3, an excellent cutting machine that can be used in crafting. The first thing to do, of course, is to get your new machine out of its box. Then the fun begins! Once the Silhouette Cameo 3 is unpacked, you will want to head on over to Silhouette’s website (www.silhouetteamerica.com) and click the button on the top right-hand corner of the screen that reads, “Update Software.” A link will then pop up that will allow you to download the Silhouette Studio. Choose either the Mac or Windows version depending on which option best suits your computer. Once the software has been installed, you will then be able to connect it to your Silhouette Cameo 3. Plug the Cameo into a supply of electricity (using the A/C adapter) and then use the USB cable to link it to your computer. Next, go ahead and start the machine up and allow it to guide you through set-up. Your computer can also guide you through setting up your machine. All you have to do is follow the prompts that appear onscreen. Keep in mind that if you wish to connect the Cameo to your computer wirelessly you can do so using Bluetooth. Ready to start using your Silhouette Cameo 3? Using your computer, open up the software. You will see a blank page that pops up. This represents the cutting mat that came with your machine, and it will serve as a canvas for your designs. However, you can change the dimensions you are working with using Page Settings. Now it’s time to get to work with design! Using the studio, you will be able to whip up shapes, text, and you can even make use of the tools that allow you to draw freehand-style. Before you ship off your design to Silhouette, however, make sure you have played with the Cut Settings in order to ensure that the finished and delivered design is of the utmost quality that it can be. Once you have gotten used to designing with the studio, we recommend that you invest in specialist software such as Sure Cuts A Lot, Adobe Illustrator, or Corel Draw. In the meantime, we hope that you enjoy getting to know your new Silhouette Cameo 3 and you create many beautiful designs for years to come. You may have viewed thousands of attractive Cricut craft items over the years and wanted to complete the items yourself, but were unaware how to do this. 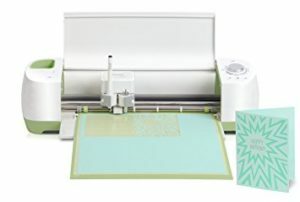 Well, firstly one would require a Cricut machine to create a Cricut craft; however, it does not make sense to buy this machine if you do not know how to use it. 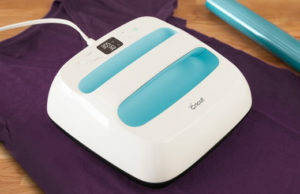 Cricut machines are simple to use, and this article will provide information on how to use this particular piece of equipment. What Do I Need To Make Cricut Crafts? While the most crucial aspect of any Cricut craft creation is the Cricut machine itself, certain other items need to be purchased. 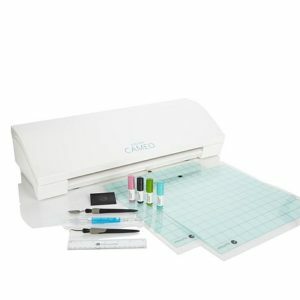 Along with the Cricut machine, you will also need a Cricut cartridge with a cutting mat, a keyboard overlay, a handbook, and Cricut paper or card stock. How Do I Use The Cricut Machine? The first step to creating a Cricut craft is to install the cartridge into the Cricut machine. All machines should come with cartridges; however, it can be more enjoyable to search for new cartridges of different colors and build up a collection. When you have a cartridge, place it into the allocated slot and position the keyboard overlay above the cartridge on the face of the Cricut machine. This completes the installation of the cartridge. The next step to using a Cricut machine is turning the piece of equipment on. The machine must be placed on a solid surface, and it can be switched on using the identified ‘on/off’ button. Of course, the machine first needs to be plugged into a wall socket before the ‘on/off’ button will operate and the equipment can be turned on. The third step is to insert the material that needs to be cut into the Cricut machine via the cutting mat. Place the material, such as the stock paper, onto the cutting mat and ensure that it firmly adheres to the mat or there may be problems with ‘sticking’ or ‘jamming’. Once positioned, load the cutting mat onto the die cutter by holding it firmly against the machine and press the ‘load paper’ switch. A size selector dial should be available on the keyboard overlay allowing you to select the size of the die cut you wish to make. After choosing the size, select the design using the keyboard overlay. Instructions for this procedure can be found in the handbook, and you should read the details before you begin cutting. It is possible to opt for multiple designs simultaneously, but you need to first cut these before selecting different sizes for the materials. After the design and the sizes have been selected, press the ‘cut’ button. Once the Cricut machine has completed the cutting, press the ‘unload paper’ button, and the cutting mat will release the material with the design on it. Carefully lift the item from the machine using a Cricut tool or craft knife, but it is possible to use your hands as well. Health Benefits Of Scrapbooking You Should Know About. Whenever you are stressed or anxious, consider scrapbooking as it will help you calm down. Just take a deep breath and engage in this creative process and the stress or anxiety will start disappearing. In fact, it has been proven that engaging in a creative hobby can help reduce anxiety. When creating a scrapbook page, your mind will be forced to focus on the task at hand. You will be thinking of how to fit photos onto one layout, the color of the ink that would suit a certain stamp, how wide the strip of paper should be cut and so on. Therefore, your mind will be distracted hence giving you the much-needed reprieve from worries of life and everyday demands. Trying to remember details such as how old you were during a certain trip or the name of the person you are seeing in a particular picture can be hard for your brain. Taking part in an activity that makes your brain work out will help keep your mind sharp. You can choose to either do scrapbooking alone or with other people. If you need solitude, just lock yourself in a craft room for a few hours and do scrapbooking. You will come out of that room refreshed and ready to rejoin the ranks of society. If you need some human interaction, gather up your family members or friends and do scrapbooking together. Scrapbooking suits introverted and extroverted people. This is one of the major reasons why you should consider scrapbooking. Scrapbooking is not just about paper, ink, and photos. It is something that gives you a source of pride and joy as you do it by yourself. Scrapbooking also brings friends and families closer together and makes a person feel a sense of belonging and make the heart happy. As you can see, there are many reasons why you should consider scrapbooking. So, it may be a good idea to start scrapbooking today regardless of whether you will be doing it alone or with other people and enjoy the health benefits given in this article. And the best thing is that you don’t have to leave the comfort of your home to do scrapbooking as computer programs such as Photoshop Elements can help you do scrapbooking from the comfort of your home. If you like traditional scrapbooking, you can order the tools and supplies at the comfort of your home and have them delivered to you and within a few days, you will have completed your scrapbook.